We specialize in military insignia and squadron patches from the NAVY / USN, AIR FORCE / USAF, MARINE CORPS USMC, ARMY and COAST GUARD. Squadron, Operational, Aircraft, Ship, base and unit and squadron patches from WW2, KOREA, VIETNAM, DESERT STORM and IRAQI FREEDOM are available. 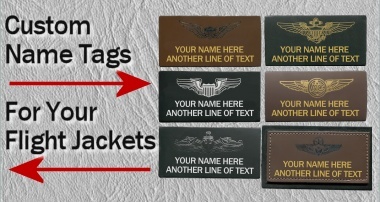 Military Aviation patches are our specialty. We carry patches for contemporary aircraft, helicopters and related squadrons like the F-4, F-5, F-14, F-15, F-16, F-18, F-22, F-35, A-10, SR-71, B-1, B-2, B-52, KC-135, KC-10, C-130, C-141, C-5, S-3, P-3, SH-60, AH-64 and CH-53. Cold War and Vietnam aircraft, helicopters and related squadrons like the F-100, F-101, F-102, F-104, F-105, F-106, F-111, A-3, A-4, A-6, A-7, F-8, F-9F, F7U, OV-10, C-54, C-118, C-121, C-124, B-66, B-58, H-3, HH-3, H-21 and H-34. We haven’t forgotten WW2. We have a great selection of AVG / CBI Flying Tiger patches, Doolittle Raiders, Tuskegee Airmen, Army Air Corps aircraft like the P-51, P-40, B-17, B-25, P-38 and T-6. Navy aircraft like the F6F, F4U, TBM, SB2C, PBY and F4F from Grumman, Douglas, McDonnell, Boeing and other aircraft manufacturers. Navy aircraft carrier, surface ships and submarine patches are available. BB Battleships, CV, CVA, CVS, CVL, LPH aircraft carriers, DD, DDG, CG and support ships. Naval Air Stations, NAS, NAVSTA, NALF, NAF are also available. 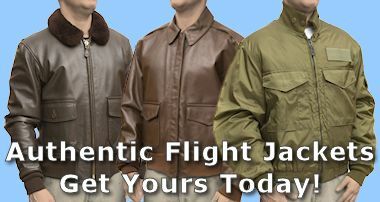 We offer a great selection of ship, submarine, wing and insignia hats, aircraft T-Shirts, Aviation books, Flight Jackets and aviation collectibles. Plane Crazy Enterprise can also provide custom work for your patch, decal, coin, pin and T-shirt needs. Take a minute to browse through the website. Please contact us with questions or specific needs. We have been in business for over 20 years and will continue to offer quality products, competitive pricing, and fast dependable service.